What do people say about your brand? 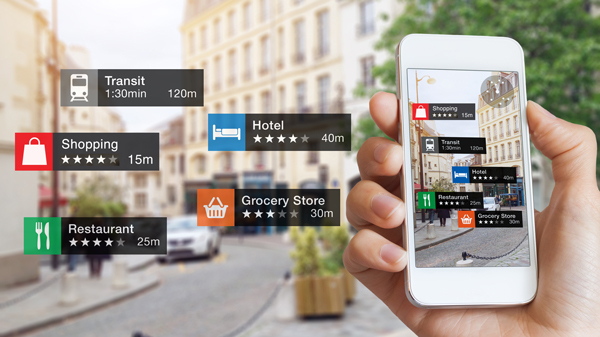 In today’s omnichannel retail environment, consumers commonly search for store ratings and reviews before deciding which location to visit. In fact, research indicates that 85% of shoppers trust online reviews as much as personal recommendations from their friends and family. With reputation-based queries on the rise, it’s important for retailers to develop their reputations online in order to win traffic and drive sales. Online reviews have a significant influence on local search. Although there are many sites to choose from, reviews on Google are by far the most influential as they are relied upon by the widest local audience and featured across Google’s apps, devices, and platforms. When shoppers are on the go, they often use their mobile phones to search for nearby stores. The results they see are driven by Google Maps listings which prominently display store reviews. Businesses with high numbers of recent, relevant and positive reviews tend to rank highest. As of 2015, Google reported that at least half of all searches are conducted on mobile devices. In regards to today’s locally-minded consumers, Shopify adds that “More than 50% of mobile searches have ‘local intent.’” Since many consumers’ micro-moments (as Google terms it) involve local businesses, Google search rankings, are in part also influenced by positive reviews, and have become an essential ingredient for increased visibility on Google. With Google Reviews holding such great influence on shopper’s mobile/local decision-making, let’s explore two key ways your stores can boost their Google ratings and reviews. According to a blog post by Constant Contact, “The easiest way to grow your Google Reviews…is by using a review engine service.” These services streamline the review process by prompting customers to give feedback and then alerting the merchant when new reviews have been posted. It’s important to note that some of these services offer the ability to filter out negative reviews, which is forbidden by Google’s latest terms of service for good reason. In their article, PowerReviews explains the positive impact negative reviews can have, stating that “displaying all reviews — both negative and positive — helps you earn the trust of consumers. And trust is what drives sales and loyalty.” According to Vendasta, “95% of consumers suspect censorship or faked reviews when they don’t see bad scores.” While relying on a review engine can certainly help boost ratings and reviews, be sure to select one that facilitates a balanced approach. Providing review links within dynamic digital receipt is often the most convenient and effective way for shoppers to submit reviews. This is because digital receipts are opted for as much as 75% of the time and garner open rates of up to 80% with an average 15% click-through (well beyond any other form of digital marketing). As a result, review prompts within digital receipts have the ability to capture the attention of more shoppers at the height of their interest - when their experience with your brand is top of mind. Digital receipts effectively boost positive store reviews, particularly after great service. To this end, retailer Laura Canada recently added 52% more Google Reviews after including review links within their digital receipts. In today’s omnichannel retail environment, great reviews can drive foot traffic and boost sales. To learn more about adding dynamic digital receipts or to find out how you can add Google Ratings and Reviews to your current flexReceipts package, please Contact Us.